OK, so I have had hands-on with 2 of the most desired phones this month. And I have been swapping between them for an immersive experience. Which one would I choose as my next smartphone? Frankly, it is a tough decision, because both models have their strengths. It’s a better imaging smartphone. I prefer my images to contain more details, more pixels, so that I can crop and edit. 20.7MP might be an overkill, but 4MP is just too low for any manipulation. Z2 definitely has a better camera quality than HTC One M8, putting the gimmick effects aside. The latest DxO report also shows that Z2 delivers the highest score for a camera in a smartphone. It is waterproof, so I can bring it along with me for water activities. Its power button is conveniently located. It has a dedicated camera button to initiate camera functions conveniently. But its camera start-up is slower, the camera menu designs aren’t intuitive, the phone rear plate is glass which increases the risk of damage, the ports are covered so it would be a hassle to charge. It also heats up faster, to the extent of auto-shutting down the camera. 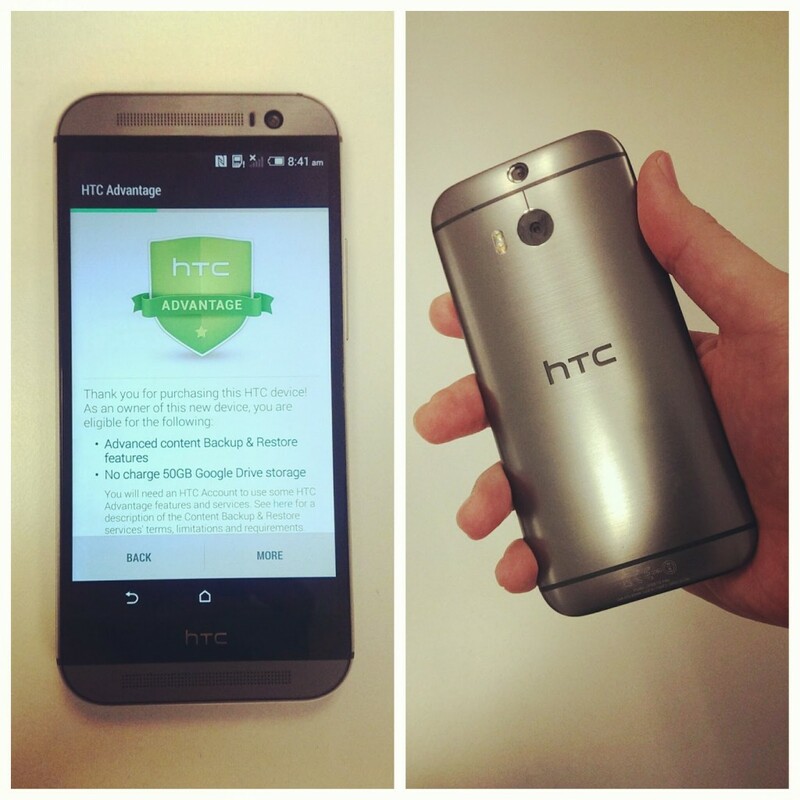 What about the HTC One M8? It is a more comfortable phone to use. Its width is smaller for better one-hand use. The sides are curved to fit in your hands. The camera response is faster, which leads you to capture images faster. The camera features are fun and helps you create unique effects and content. The menu lets me adjust shooting controls faster. The overall UX design is better than Sony. Take the dropdown notification, its quick settings list of icons contain useful information and additional feature to directly access the function for further setting changes. For instance, WiFi indicator shows the access point, and you can click the context menu to go directly to the WiFi menu for setting changes. It’s also clearly a faster phone because of a higher processor speed. The front stereo speakers are awesome. But the camera pixel resolution is the lowest, and despite the claims about larger pixel lower noise, the imaging technology has evolved so much that there are little difference. Personally, I would accept noise over lower resolution. It’s a decision with mixed feelings. On one hand, I love all the functionality and design. On the other hand, the camera has not enough pixels for zooming into details. But when I ask myself which smartphone would be more interesting to show off, my answer became clear. Yes, Sony Xperia Z2 may have been lab-tested to be the best smartphone camera, but that’s probably the only feature to brag about. The AR camera mode is also interesting to demo, though the real-life application is limited. As for 4K video, it’s a feature that not many consumers would use, especially when you require a UHD display to see the advantage. The HTC One M8 is certainly a better smartphone for the social network friendly person who likes to capture photos and to share online. With the unique features like UFocus, Dimension Plus, and Video Highlights, it’s easy to impress. Although the camera pixel is just 4MP, the resolution is optimised to produce in-phone content without impacting the smartphone performance. Therefore, I feel the HTC One M8 is a better camera overall. 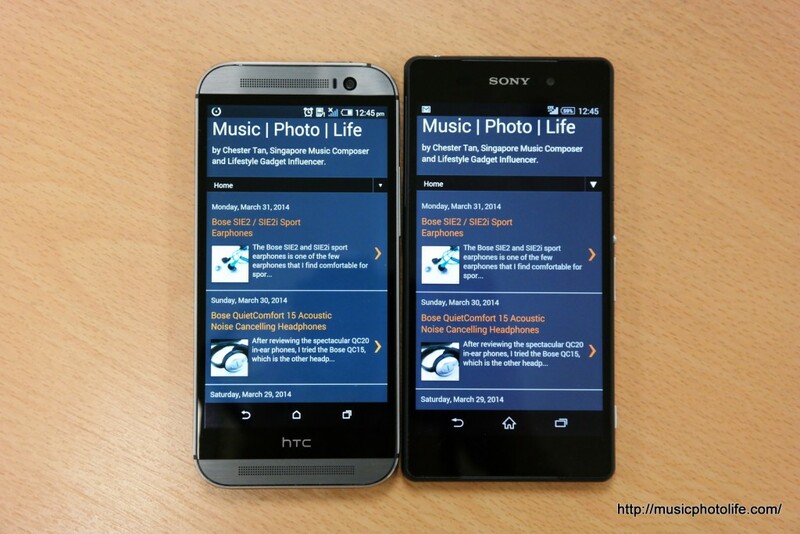 If you must have a good camera with high pixels for your smartphone, then your choice should be Sony Xperia Z2.